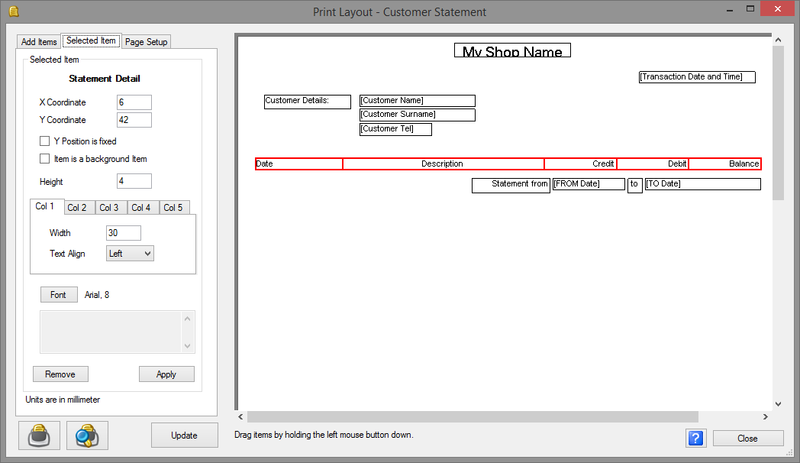 It is now easy to design your own Customer Statements in the ROBOTILL Point of Sale System. In previous versions you could design your own till slips but not your own Customer Statements. With the new version (4.10.01) that was just released you can now also design your own statements. It is easy to select the items you want and simply drag and drop them on the page where you want them. You can also add a company logo and any other company information you want. The Print Layout Screen of ROBOTILL was also improved with a new Preview option. To download the new version go to http://www.robotill.com and click on Downloads.